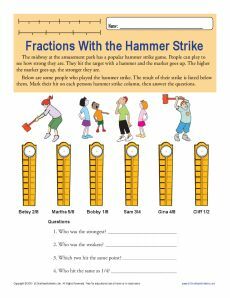 This hammer strike does more than measure strength, it also helps your student with fractions! She'll work with a number line to determine the sizes of fractions. It's a good drill for 3rd grade Common Core Standards for Numbers and Operations, but you may also use it for other students as necessary.